Werner von Alvensleben comes from a long line of German aristocrats. Yet far from enjoying a privileged and pampered existence, his life plays like a Hollywood adventure movie. Imprisoned in Zimbabwe during World War II, von Alvensleben escaped by digging underneath an electric fence in the rain and making his way by foot to Mozambique. After founding the famous Safarilandia hunting company, he guided a list of hunting luminaries that included Jack O'Connor and Robert Ruark (who found out he could not bribe Werner!). 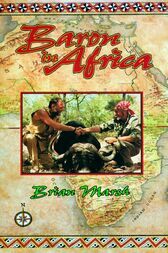 Follow his career as he attacks a man-eating lion, kills a full-grown buffalo with a spear, and hunts for elephant and ivory in some of the densest brush in Africa. Adventure and experience were what counted to the man they call "Baron," not money or fame; indeed, in the end he left Mozambique with barely more than the clothes on his back.